I gushed a little hard over McCarthy’s The Road and I’m a fervent fan of No Country for Old Men, but Charles Portis has one thing McCarthy will never have: a sense of humor. 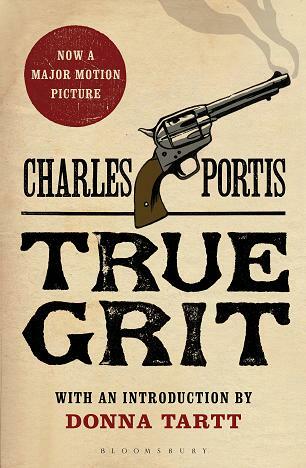 Charles Portis could be Cormac McCarthy if he wanted to, but he’d rather be funny. — Roy Blount, Jr. I don’t have much to add beyond Mr. Blount’s summation. The Coen Brothers recently adapted this book to film and the first half is so faithful that, if you’ve seen the movie, the book reads like a script. Fortunately, the second half is different enough that it doesn’t feel wholly redundant. This deja vu is the price you pay if you read a great book after watching a faithful adaptation. Mattie’s narration is matter-of-fact, and rife with dry wit. Her precision contrasts well with Rooster’s sloppy style and I love her capability and independence. The end is fitting (not the epilogue — those are almost never good) and if you don’t want to know what it is, then don’t read the book reviews in the first few pages. Every edition is probably a bit different in this regard, but mine included a thick paragraph that summarized the climax. Come on! Translation: If you haven’t seen the film, then you should move this book to the top of your queue. If you’ve seen the film, you don’t have to rush since you’ve already heard the best bits of dialog, but you should still get around to it. Biggest surprise: the funniest parts of the film weren’t from the Coens–they were from Portis!